Even if you've never been within a thousand miles of a Hollywood benefit gala, you probably have a pretty good idea what you'd experience. Celebrities peppered in among industry movers and shakers, discussing upcoming projects in the kind of vague terms that don't give away any real secrets. People with spectacular eyewear and casually chic outfits. 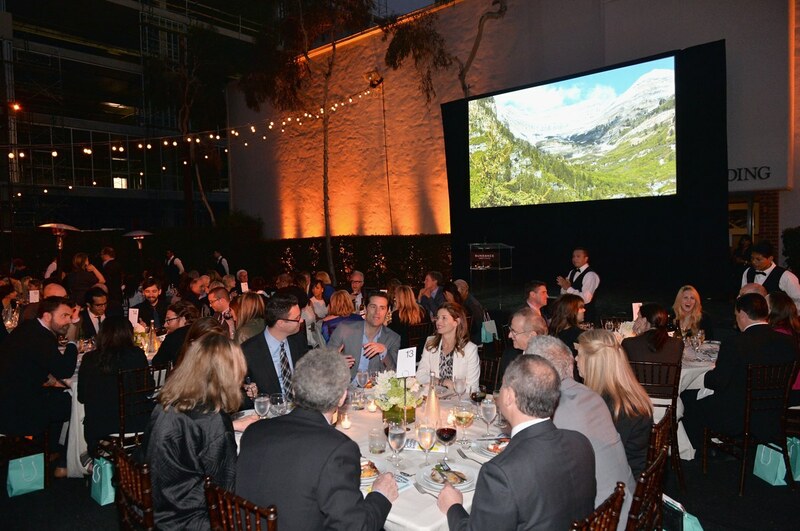 You'd have it right, but only to a certain extent, when it came to Wednesday evening's Sundance Institute Benefit Gala in Los Angeles. During the cocktail hour before dinner, I overheard snippets of conversation like "I think we should get what we need in the next round of casting," and "It's out to another writer." But once the presentations began over dinner, the truth of the event was clear. The first time Roger Ebert's name was even mentioned in introductory remarks, there was a round of applause that drowned out the speaker. And when it was announced that the Sundance Institute is establishing the Roger Ebert Scholarship for Film Criticism, the warm reception belied the myth of the industry antagonism to critics. Six to eight young critics will be funded to attend Sundance and develop their craft in the Indiewire Critics Academy program. This was a Sundance crowd, people who have supported the mission of the Sundance Institute, so perhaps it is no surprise that they already appreciated the importance of film critics to the survival of small independent films. The Institute, with a mission and scope far wider-ranging than just that annual festival in Park City, Utah, has been nurturing and supporting independent filmmakers for over thirty years. Also honored at the event was Ryan Coogler, whose film "Fruitvale Station" won the Grand Jury Prize and the Audience Award at the 2013 Sundance Film Festival. Coogler also recently picked up Prix de l'avenir prize at Cannes, an award meant to flag a talent as someone to watch. At Wednesday's event, Coogler spoke movingly of the way the Sundance Institute was like a family for him, amusingly looking to "Uncle Bob" Redford. He explained how the financial support from Sundance made it possible for him to move out of his crowded family home at a time when he despaired of finishing his film simply because he didn't have the space or the quiet in which to work. But for those of us who knew Roger, and it often feels like everyone knew Roger, the most moving part of the evening was the presentation of the Vanguard Leadership Award to Roger. This portion of the evening began with a video tribute to Roger assembled by Steve James, a Chicago filmmaker whose documentary "Hoop Dreams" was given a national spotlight by Roger and Gene Siskel. James's lovely tribute mixed footage of Roger with a variety of people in film talking about his importance. I'll admit that the first time Roger's voice was heard in a clip, I cried, and it wasn't the last time. Werner Herzog described Roger as "the consciousness of cinema," a pronouncement you must imagine in Herzog's distinctive voice to get the full effect. 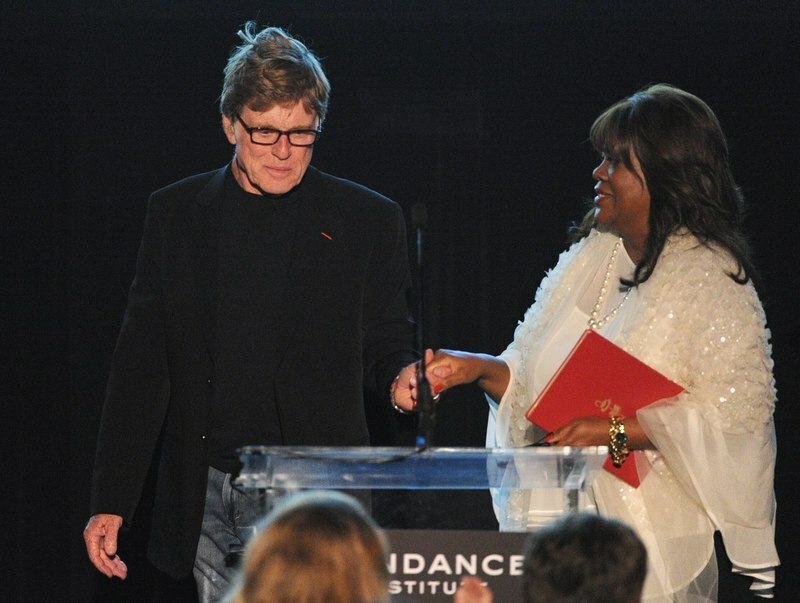 After the film, Robert Redford recalled Roger's untiring support for independent cinema, and for the Sundance Institute and the Sudance Film Festival in particular. It was, Redford recalled, a relationship that didn't begin auspiciously. Redford and a small group were gathered in Park City, literally out on a lawn, to discuss Redford's vision of an institute set away from Hollywood that would give young independent filmmakers support and space to grow. Redford noticed a man he didn't recognize, found out it was 'some journalist from Chicago' and went over to try to dissuade Roger from covering the story. He would be happy to talk to journalists once the idea was in motion, but it struck him, Redford recalled, as unfair to cover the Institute's growing pains. But somehow, Roger persuaded Redford that he was there not to write a hit piece on a celebrity's vanity project, but because he sensed that something important was happening. From then on, the two maintained a relationship of mutual respect. Finally, our own Chaz was called upon to accept the Vanguard Award on Roger's behalf. She called back to Coogler's earlier observation that the Sundance Institute is all about storytelling, about making people imagine the life of someone utterly unlike them. Chaz talked about how these two things, storytelling and imaginative empathy, were at the heart of Roger's work and of his love for Sundance. It was a love that the Sundance community offered back to Roger on Wednesday. Photograph of event by Alberto E. Rodriguez/Getty Images. Courtesy of Sundance Institute. Photograph of Robert Redford and Chaz Ebert by Kevin Winters/Getty Images. Courtesy of Sundance Institute.